Italy is known around the world as the place to go for beautiful, luxurious jewelry of all kinds. 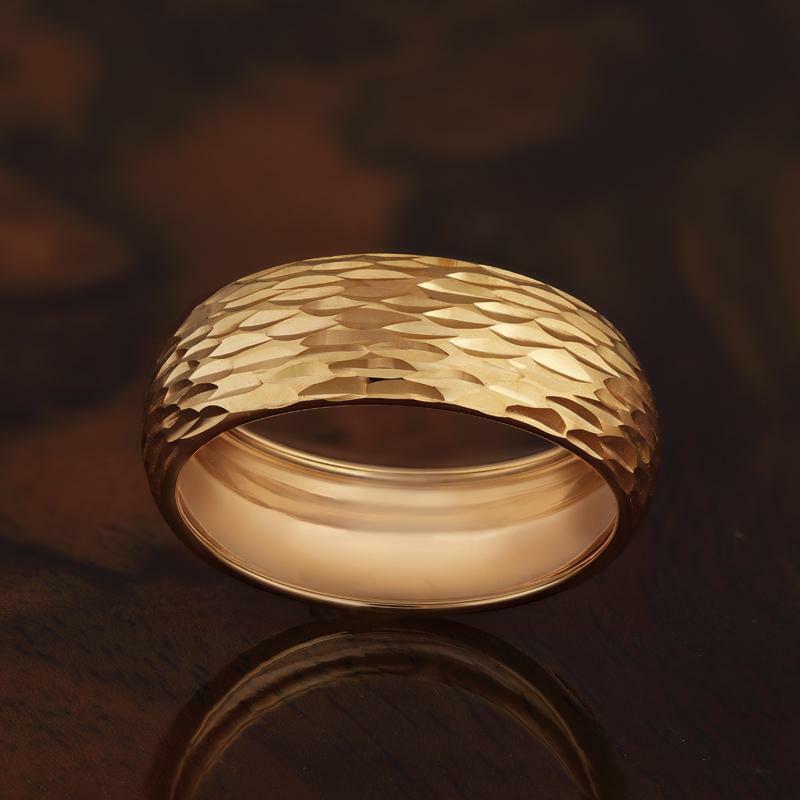 Italian gold jewelry is particularly renowned for its distinct color and quality. However, buyer beware. There is a lot of mass produced jewelry out there masquerading as unique Italian-made pieces––many of which come from companies who’s buyers have never even set foot in Italy. When you purchase Italian gold jewelry from our exclusive Raffinato Collection you can be assured each and every piece was handcrafted by a master artisan in Italy. From our office in the heart of Italian gold country–– Arezzo–– we form valuable partnerships with our Italian artisans and secure absolutely amazing deals for our clients. You deserve the real deal. Ring available in whole sizes 5-10.